Cookbook Cafe (www.cookbookcafe.co.uk) at InterContinental London Park Lane has partnered with the Edible Playgrounds project (part of Trees for Cities) to launch the Seedling Series Kids Cook programme, which celebrates ingredients and teaches kids where food comes. 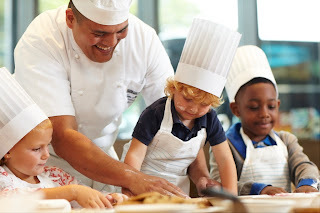 Executive Chef Paul Bates has created a series of twice-monthly seasonal classes for kids aged 5-8 that are designed to be educational, interactive, and most importantly fun! Set within an old Georgian town house and operating over 5 floors in a prime location; Bird of Smithfield is the long awaited venture by Chef Alan Bird. 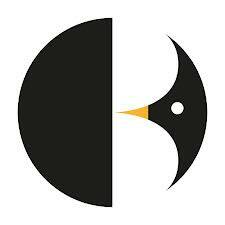 With over 15 years heading the kitchen at arguably London's most iconic restaurant The Ivy and as a former Group Executive Chef at the International Soho House Group, Bird has received widespread recognition from both peers and trade. The restaurant's menu will be British with a twist; with dishes aiming to explore the influence British food has had both historically and presently. Moments away from Farringdon, Bird of Smithfield will be open for breakfast, lunch and dinner. Bird of Smithfield will offer a beautiful classically styled dining room featuring Harris Tweed and herringbone fabrics, a bar with a cosy lounge feel, a basement cocktail bar, an exquisite private dining room with a chef's table and a roof terrace over- looking the towers of the old market. Friends of the Earth is thrilled to announce its forthcoming Extraordinary Banquet event; a unique evening of experimental food and performances inspired by the life and principles of Linda McCartney, with support from friends Dame Vivienne Westwood and Jo Wood and compered by Clive Anderson. The evening will feature a one-off UK performance from Grammy-nominated classical musician Julian Wachner; a special live performance from critically acclaimed soul and blues singer Natalie Duncan; unique beat-boxing collaborations live on stage and a multi-sensory, experimental menu to tease the senses, selected by Sir Paul McCartney and brought to life by Zafferano. The magical menu will include edible sand and soil, pistachio trees, passion fruit caviar, jewelled quail eggs, glow-in-the-dark cucumber, agave nectar, and strawberry and cream mushrooms. For those of you, that is if anyone out there is, I might be flattering myself, follow my blog you might have noticed a few changes. 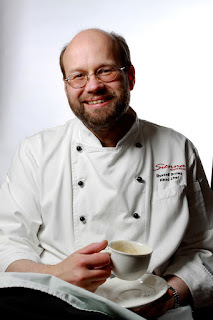 Over the past few months I have just been posting all news and press releases and not many recipes. Well the reason for this it that due to the fickle, or is that faecal, world of work I am being made redundant. But do not fear I have found another job. The problem is that as I have been job hunting and now about to start a new job my time for my blog has somewhat been cut back. As I am now going back to work in a real kitchen as opposed to one where I have to think of daily amounts and how to make everything fit a price point. I will, have less time to do things like this. But I hope to keep up with the blog but only as and when I can. 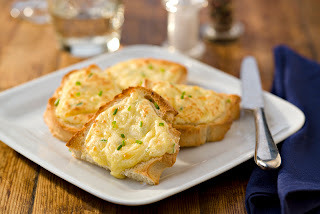 Soon I hope to have more recipes posted and not just the news stuff. You never know I might end up posting more stuff than I have ever done before , life is strange like that. Lotus Bakeries is delighted to announce that it will be the official biscuit sponsor of UK Coffee Week 2013, which runs from the 22nd - 28th April 2013. Lotus will give away a total of over half a million exclusively co-branded wrapped biscuits to all those outlets that register to join the scheme. And the good news for cafes, coffee shops, workplaces and other catering establishments is that reaping the benefits of being a part of UK Coffee Week could not be easier – simply log on to www.ukcoffeeweek.com and register to receive your pack. Formerly The Greyhound Inn, The Greyhound on the Test, a historic country pub located in the village of Stockbridge, has undergone a full refurbishment and will open to the public in mid March. Located deep in the beautiful Hampshire countryside, The Greyhound on the Test will boast not only a new décor and new bedrooms, but also the appointment of its new chef, Alan Haughie, who has brought his talented touch to the menu to offer a food experience unique in the area. The new interior design presents a contemporary look while remaining respectful of the traditional setting of the 500 year old building, creating a rustic, warm and cosy feel. Seven individually designed bedrooms will be available, offering relaxed and stylish accommodation in an ideal location for those guests drawn to the area for the country sports for which this part of Hampshire is renowned. Confident about the quality of your product`s? ,would you like third party endorsements from the leaders in the field?, would you like to raise brand and product awareness and increase sales ?, if the answers to the above is yes, then read on as this may be of interest to you and your company! Evidencing that products are superior in terms of taste and quality can be a challenge in a competitive business. Experience shows that an independent and credible endorsement by a large number of professional opinion leaders will certainly help to overcome this challenge. The iTQi are leaders in the field, operating to strict codes of practice that ensure a globally recognized standard of quality, leading to easier identification of superior products for both buyers and consumers alike. Products are not in competition but are tested for their sole merits, each in their own category. 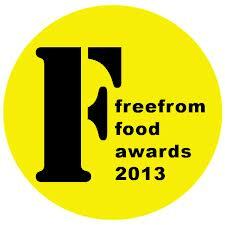 The shortlist for the 2013 FreeFrom Food Awards - celebrating the best in gluten-free, dairy-free, nut-free and all 'freefrom' foods - is now out!! From 'activated' walnuts to 'sea waves' pasta; cappucchino' soya milk to sulphite-free wine and alcohol-free, gluten-free beer. After two weeks of sipping and supping, not to mention some heated discussions, the 50+ FreeFrom Food Awards judges have chosen nearly 220 products to go on the shortlist for this year's FreeFrom Food Awards - see below for the full list. Chocoholics can immerse themselves in an abundance of indulgent chocolatey treats this Easter as everything goes gooey at Tees Valley's, Wynyard Hall. Chocolate temptations will feature throughout the stately home, including Spa treatments, cocktails, afternoon tea and six-course dinner menu at the award winning 3 AA Rosettes restaurant - guaranteed to have you in a chocolate whirl! The 19th Century house, set in 150 acres of historic parkland is pulling out all the stops to make this an Easter week to remember creating a paradise for any self-confessed lover of chocolate from 26th March until 1st April. Dine on the special six-course menu in the hotel's 3 AA Rosettes Wellington Restaurant with hand-dived scallops, celeriac, truffle, and caramelised white chocolate, before finishing off with the rich and creamy coffee and chocolate soufflé, coffee soil and biscotti ice cream. Research out today shows that Mary Berry is the person most people in the UK would like to bake with and over 60% of respondents get their cake inspiration from family and friends, followed by the ever growing popularity of baking and cookery programmes on television, as well as books and magazines. 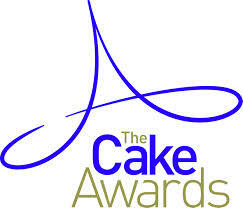 The research, released by The Cake Awards also shows that the UK's favourite cake is something chocolatey - sponge or brownies, second best is a delicious Lemon Drizzle, and a traditional Victoria Sponge is also whetting people's appetites. Over 50% of those surveyed said that they bake weekly, with almost a quarter finding the time to bake several times a week - showing how cake making has been embraced by the nation. Curry lovers are in for a treat at one of the leading cookery schools in the North of England. 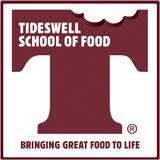 The Tideswell School of Food,based in the Peak District, Derbyshire, has added a spicy new Indian Masterclass to its range of courses, hosted by Prett Tejura, founder of the award-winning Curry Cuisine Cookery School. Driven by a desire to inspire Brits to move away from bland baltis and tasteless tikkas towards more authentic Indian cuisine that can be freshly made in the home, Prett, a passionate home cook, established her cookery school in 2007 in Yorkshire. Prett was inspired by her Indian heritage and encouraged by her mother, who shared the secrets of her culinary expertise with her from an early age. Cooking has always been a way of life for Prett and for many years the family has developed traditional recipes with rich, aromatic flavours and explored the unique cuisine of the diverse regions of India. Dorset's Michelin starred Chef prepares to celebrate 10 years of his Sienna Restaurant in Dorchester. Chef Russell Brown is celebrating 10 years of the restaurant he runs in Dorchester with his wife Elena. 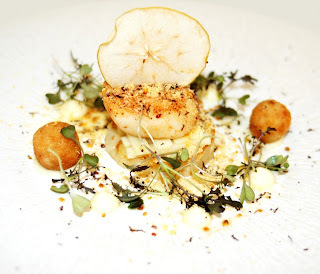 Sienna, in High West Street, was opened in 2003 and has since picked up a string of awards, including Dorset's first Michelin star in 20 years. To commemorate its tenth year in Dorchester, Sienna is to host a 10 day event involving a specially selected 10 course menu (below) - with each menu worth 10 pounds to the charity Hospitality Action. Sponsors of the event - which begins on 18th April and is available for dinner Tue to Sat - include Bollinger Champagne, Blackacre Farm Eggs, Westwood House, Richard Budd Photography, Dorset Wines and Villeroy & Boch. Financial rewards for sustained weight loss could be the key to solving the obesity epidemic, according to the results of a UK-wide trial run by Weight Wins, an innovator in weight loss incentives. Participants who were active in the programme after a year had achieved an average weight loss of 21 lbs (one and a half stone). After two years, the average weight loss was 33 lbs (nearly two and a half stone). 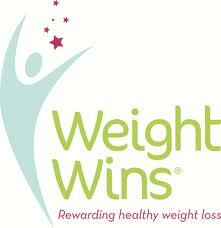 This is more than double the average 11 lbs long term weight loss of active members of slimming clubs. 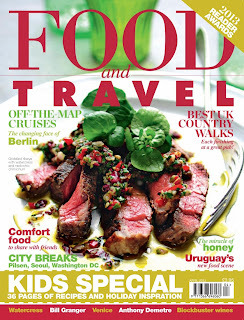 Food and Travel, the UK's market-leading gourmet travel magazine, is asking its readers to cast their votes and decide the winners of its second annual awards, which will celebrate the best of the best in the worlds of food, wine and travel. Never mind the G&Ts, after the exhaustion of the BRIT red carpet and Awards on Wednesday night, everyone wanted a yummy jelly bean rush! 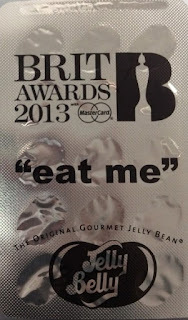 The Jelly Belly jellybeans Sweet Recovery bar at the Brit Award's party was so popular that it had been pretty well emptied within 45 minutes of the party starting. " It was crazy" said an observer "but delicious!" Following the colourful theme of artist Damien Hirst who had designed this years' Brits trophy statue, 90,000 Jelly Belly beans were shipped in for the Sweet Recovery bar. They were displayed in their iconic bean machines and the give-aways were blister packed like authentic pill packets - suitable for a hangover perhaps? Sweet recovery indeed. Whether it's down to cost, health, animal welfare, environmental factors, or, more recently, labelling and contamination concerns, the meat-free market is continuing to gain sales as more and more consumers regularly reduce their meat intake. 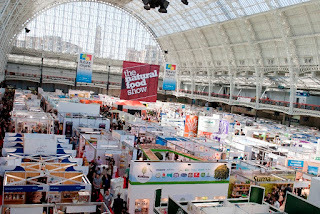 Retailers and buyers wishing to take advantage of this growing trend will find a host of innovative new vegan and vegetarian products for their customers at this year's Natural Food Trade Show, which returns to London's Olympia on 7-8 April 2013.